How to use the affiliate program? If you are looking for a proven and trusted place to buy BTC - it’s a good choice, BuyCoinNow.com will meet all your expectations! What's more, the purchase itself will be simple and trouble-free. If you prefer to buy bitcoins with a credit card - we have available Visa or MasterCard payment. If you prefer to make a purchase through an online payment provider, you can use DotPay. What's more, you can pay for purchase in 4 fiat currencies - PLN, GBP, USD, EUR. 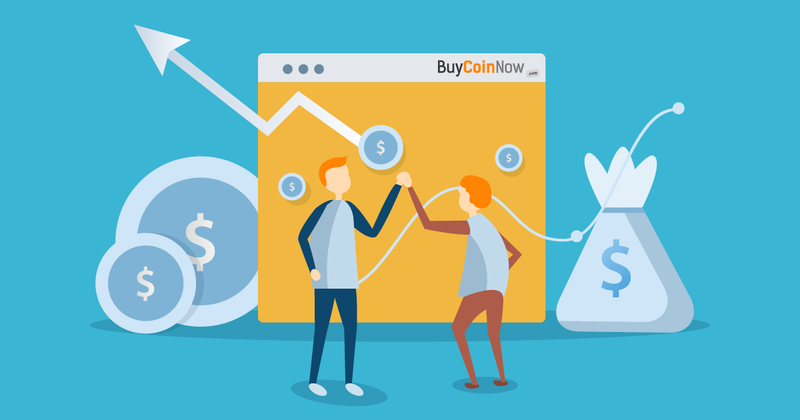 What’s more, when you use BuyCoinNow.com, you can additionally earn money. We have introduced an affiliate program in our exchange office, thanks to which a few satoshi can appear on your wallet. To participate in the program, you need to register an account at BuyCoinNow.com and become a fully verified user. Then go to the "Affiliate Program" section and accept the regulations. After completing the above steps, you can copy your own individual link or download a banner to display on your website. Anyone who signs up with your request will be assigned to your account. From that moment on, you will receive 20% of your friends' transaction fees! Do not wait and let yourself earn almost without doing anything!